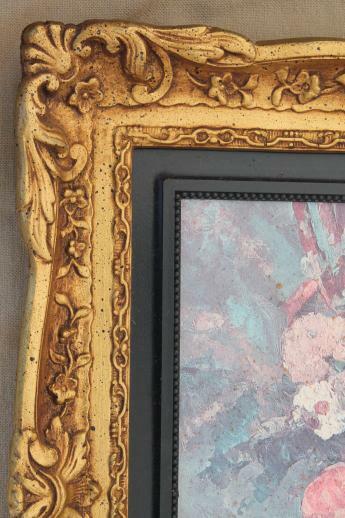 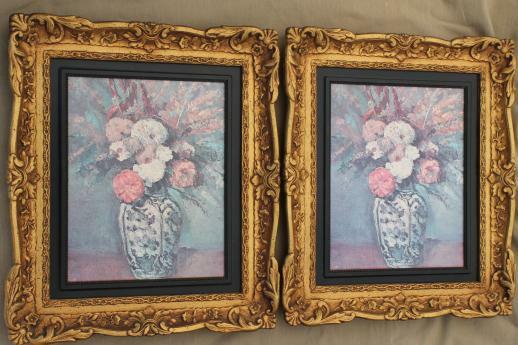 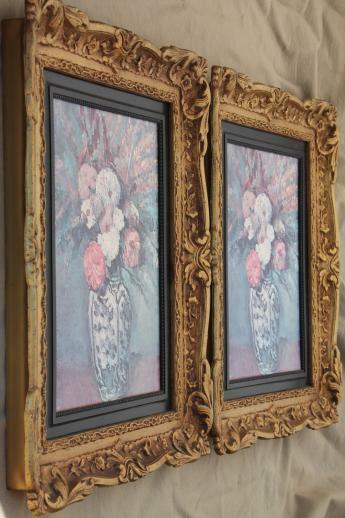 Pair of vintage gold rococo frames with a pair of faded floral prints on cardstock, easily removable as these frames are made without glass. 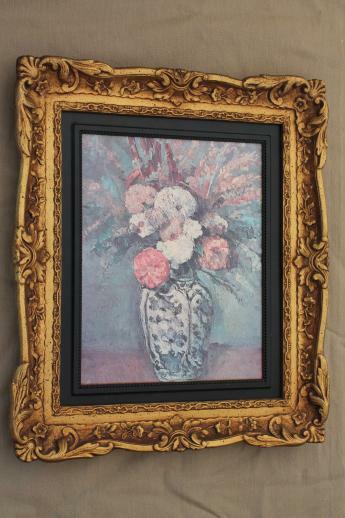 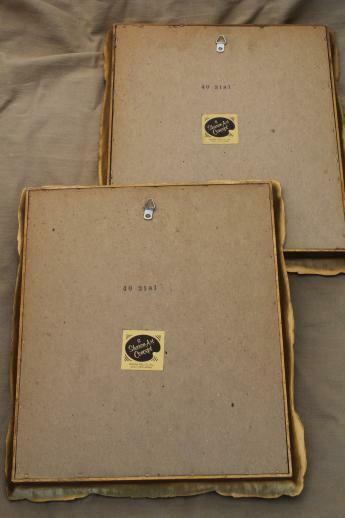 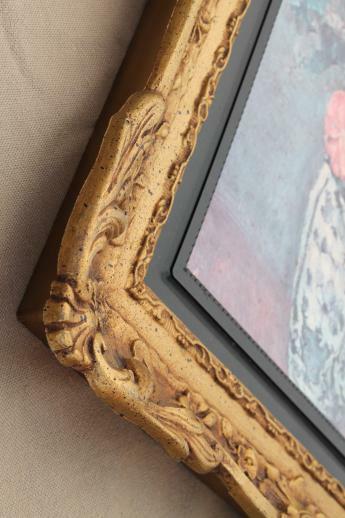 The frames and beaded edge 'mats' are all plastic, in excellent condition. 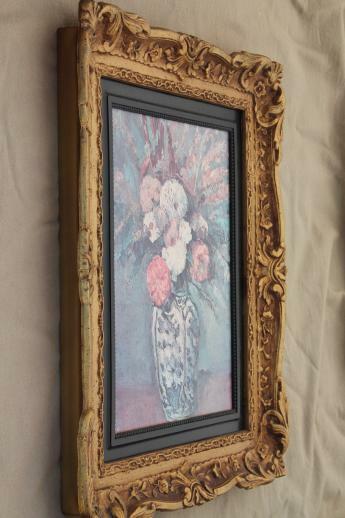 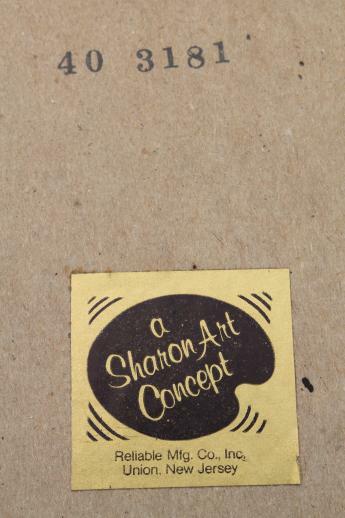 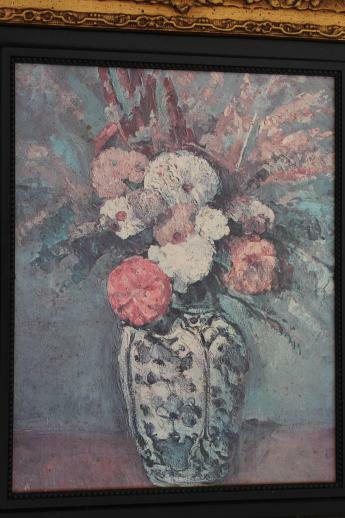 The picture area measures 8" x 9 1/2", and the frames are about 12 1/2" x 14 1/2" overall.